If Luke could have put NASA’s Chariot, ATHLETE, K-10 and the LSMS on the south ridge near his home on Tatooine, he could have joined the rebellion much sooner, avoided kissing his sister and even saved his father. Okay, maybe I’m stretching things a little bit. But after only 10 seconds of seeing these vehicles in action, it is tough to supress my enthusiasm. We arrived late in the afternoon in the thick of multiple simulations. The pictures don’t quite capture the 20 mph wind, dust devils and chaotic temperatures, but each projects’ team and hardware didn’t seem phased. They were vigilantly putting everything, including themselves through the data collection ringer… And loving every minute of it. I have to hand it to them all. They are real troopers. Enjoy the pics. I’ve got to go to Tasha Station to pick up some power converters. Great pictures! Looks like they had a lot of fun putting these rovers through their paces. Are these prototypes of rovers we may one day see on the Moon? Nice pictures a movabel tent, I epsonall had a much better idea liek form thorr and star gate and star trek, a transporter shuttle to practice design changed flight conditions, basciyl a hexa box container with rotational head as cocpit. Tha cacth is to use use 4x hydraulic excavator arms and attach engine to it. Shuttle transporter can easilly be like with airbag suspensions, hydraulic suspensions, and jet or rocket for practice changed dynamics, teh plates can be 3x titanium, volfram, molybden, twin and izolation material between, and special outsied eizolation material can be carbon brickes like brakes, or oher fire static materials. Enough material to play around and develop core like could fusion core ionized gas. 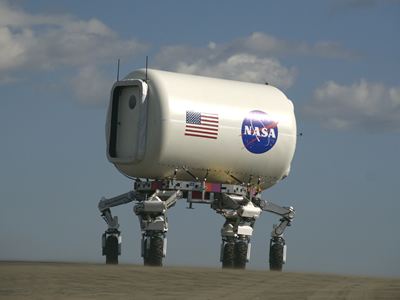 4x legs can as well be equiped with sat plates for protection entering into orbit and wheels for drive if desired. All in one covering move reserch reenter vertical taek off and drive, and permanent stabile use off combustable closed purpose core with durable power, much like battery. Perhapse design should be like roller berings for colde fusion easy ta attach spin geneartor around. So much practicing. Turns out that practicing and real timne developing can be off much use, instead off partialy tacking only superfitial problems. In practice in research was always so. Why not done so, why vait? 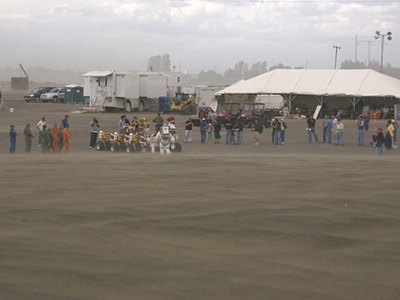 In my enthusiasm over the cool vehicles I forgot to say that we were actually watching simulations at Moses Lake, WA. P.S. It still looks like Tatooine to me. When NASA returns to the Moon by the end of the next decade they’ll be constructing a habitable lunar outpost. 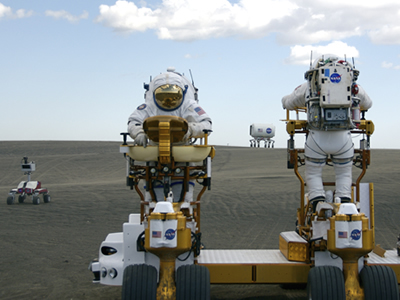 They’ll be using rovers, living in hab modules, using manipulator arms to lift heavy objects, and learn to live off the land just like Lewis and Clarke. 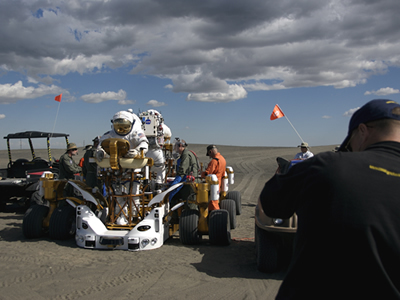 Here at Moses Lake, WA, NASA engineers and researchers are testing prototype rovers, manipulator arms, next generation space suits, and other cool robotic devices. The weather has been very dynamic this past week and the men and women on the testing team are doing a great job dealing with the elements. They’ve had great success so far with all the hardware. It’s cool seeing Chariot, Scarab, ATHLETE, K-10, and the space suits in action. We also had a great turn out by the press and local school kids even visited the site. Cool. The ‘droids’ look pretty awesome. My biggest dream is to one day tour the outer space. what i like about the whole thing is that prices are getting cheaper. I don’t know all the things about this way because when you explan for other people someone can’t listen very well but take a small word to give us.for me I’m not an American but I try to know all the things you do.the way is good fell it more and give us the video. How fun it has been to see all of you here in Mose Lake, Wa. to do your testing of all this incredible equipment. Everyone was so polite and informative. Gee, I felt like I had just taken a trip to NASA. I met the guys in the suits and they were so cool to take my boys in to see the suits close up and talk with them. I see the weather has let up today. I sur help that gives you all some relief. Thank you so much for all the fun we had. We met Kevin EV-1 and Bill EV-2. They also took us in to see the cool suits they were testing. I had so much fun and my boys were totally wowed. We took some pics and video and also got a couple autographs. Thanks again for all the fun and we are glad to see the wind has let up a little bit. Hope to see you here for future testing. Also if you would like to see our pics and video you can go to krusecat@myspace.com…..Enjoy! 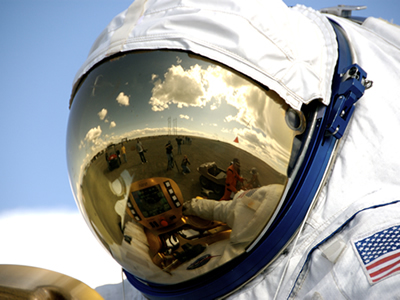 Nasa fascinates me.. i think everyone that works is remarkable and i have alot of respect for you all. i love space and would love to go there one day!! I live in Moses Lake, WA, and I have for 25 years (all my life). I just wanted to say thank you for bringing such incredible excitement to my town. We are pretty limited when it comes to fun and activities here so you can imagine my excitement when I heard NASA was coming. I just wanted to say thank you for being so understanding and patient with our questions. I took some really awesome pictures and learned alot from you. I hope you enjoyed the SAND DUNES as much as I do, I grew up out there, and continue to spend as much time as I can playing in the sand. Thank you for choosing Moses Lake and I sincerely hope you return in the future. How can I find out how I would see the launch from Beaverton OR meaning like going outside at 0030 June 20th and maybe seeing it going up right after the launch from Vandenberg? I’d like to see if it will be coming my way or if I might see it? Does that make any sense at all? Would I be able to see it from my house being it will happen at night…..would any of you smart people out there like to email me at azresmaker@yahoo.com? I’d like to see it! It’s really awesome ! !this is evoltion, here…the droids ! I love your show and the fun way that you educate us on whats new at NASA. Growing up in Florida and comming from an aviation family Iv’e always taken deep pride in NASA accomplishments. To me NASA is the only place where you can see man at his very best. Our Earth has been distroyed by mans greed and corruption. Our nations leaders have sold our futures and that of our children to communist countries. NASA is the only place left where the job goes to the best qualified people. So, You go NASA, you are the best of us. And thank you NASA EDGE for bringing us closer to whats going on with all the behind the scenes in NASA development. You guys have my dream job. Keep up the good work. AND MAY THE FORCE BY WITH YOU. it was grest succsesfully of mission phinics. the athlete looks GOOD! Looks like a fun time. Nice work, kids!!! This is the way to get the word out about how important your work is to the rest of us humanoids. I’d sure rather give my tax dollars to you guys than to corrupt foreign governments, and for the commodities and social comforts of criminals and illegal immigrants. I’m an ex-techie from JSC myself. You make me proud to be an American!!! And the machines look pretty cool! do You know that YOU are the World’s New Culture? But You must believe this. The Art & the Culture are not more (from a long time) dominated by the old people. Because the United States have built a NEW CULTURE before interconnecting with all better people of the world and then becoming THE CULTURE, THE ART. Blessed who born in America & God bless You America! Beautiful, really beautiful. L�onard de Vinci can be happy. I am very much happy to see this pictures .i want see more pictures.if you could able to show me then its my pleasure .can u pls send me more pictures . i want to know whats life in space .how they prepare their self to go to spave ship .pls let know about everything . Say it aint so Blair! Its Tashi Station. Tell me it was a typo, IT WAS A TYPO!!! the concept of lunar home and lunar rover is fantastic but i have a doubt that, does the moon have solid surfaces like ours or something sandy like desert areas, and are there any rocks and solid hard stuff like that. i asked this because the rovers wheel is normal and i think it is not suitable for the deserty surfaces and it become difficult to move. and another thing is that why do we want 6 wheels for lunar home dose it have any specific reasons? Is the habitat module separate from the drive module if not it would be limited. It would be nice to see a drive module capable of moving multiple payloads. The payload modules (habitat, drilling, processing, science…) for the most part would be static on the surface (while they did their work). Also, you’d only need a few drive modules and you could send a replacement should one break down. The hab module is separate from the drive module. ATHLETE is designed to carry a variety of hardware. Great question. Note: We can no longer accept links within a post. Hi I go to North Ridge elementry school, they laern a lot of Nasa stuff. Some of your people shoud visit our school, oh and I love Nasa, it rocks!!!!! Next Next post: Back from Tashi Station….more pics!